Bright and colourful toys for young babies and toddlers – a great gift for every new mum. 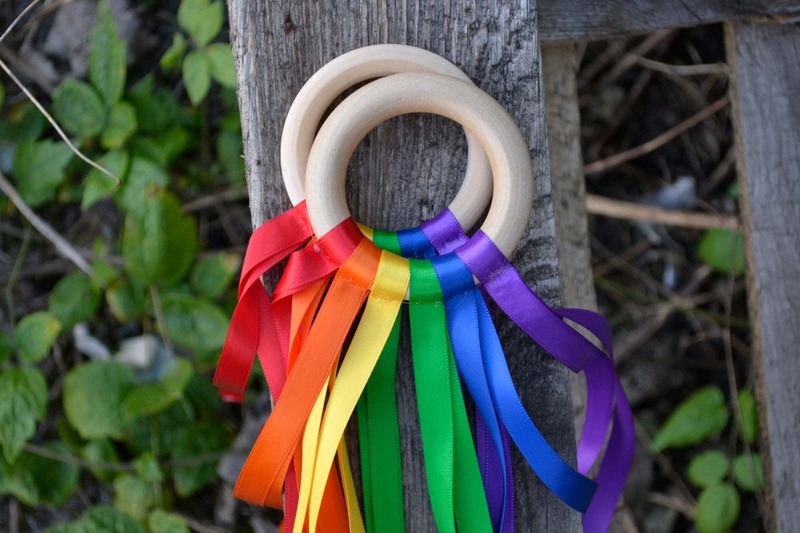 The beautiful rainbow ribbons provide sensory stimulation and the wooden ring is perfect to chew on. Made from natural untreated wood. Ribbons are sewn on with invisible thread to make them sturdy and able to withstand lots of pulling. Ribbon ends are heat sealed to help prevent fraying. 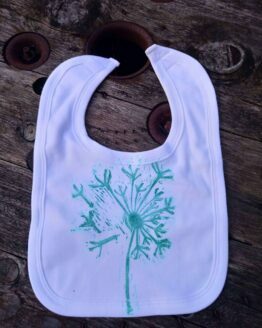 I have always loved handmade things, browsing craft markets and watching makers at work but didn’t think I had the skill to create myself until I was lucky enough to be referred for art therapy after a very difficult birth last year. There I had the chance to experiment and create freely without any pressure or set projects and These Two Hands was born. My designs are inspired by the outdoors, bold colours and natural materials. There are rainbows, clouds and leaf themes in much of my work as I love their shapes/colours .